Florida Construction Update provides insight and commentary on new and emerging issues in Florida construction law, including the latest judicial holdings, recently-enacted legislation, and other developments and trends important to individuals and entities involved in the construction industry in Florida, including developers, contractors, design professionals, and their insurers. George R. Truitt, Jr., Esq. George R. Truitt, Jr., is the Managing Partner of the Cole, Scott & Kissane, P.A.’s (“CSK’s”) Construction Group, which is dedicated exclusively to the counseling and litigation of construction-related matters. Mr. Truitt is a Board Certified Specialist in Construction Law. He was admitted to the Florida Bar in 1992 and has been A-V Rated by Martindale Hubbell since 1998. For the past seventeen years, he has devoted his practice to construction litigation and risk management counseling, including the representation of design professionals in professional liability claims, developers, contractors, and subcontractors in construction defect, contract, and lien enforcement claims, and payment and performance bond sureties in public and private bond and subrogation claims. Mr. Truitt lectures on various construction law topics, including risk management for design professionals and developers. He has presented to general liability and surety bond claims professionals with American International Group, Inc. (AIG) on “Core Concepts in Construction Defect Litigation” and to members of the American Institute of Architects, Florida Section, on “Risk Management for Architects. David Salazar is a Partner in CSK’s Construction Group and practices in the Miami office. Mr. Salazar is a Board Certified Specialist in Construction Law and has devoted his practice to various areas of construction law including representation of developers, contractors, and subcontractors in construction defect, contract, and lien enforcement claims, as well as design professionals in professional liability claims. Mr. Salazar also writes and speaks on various legal topics in the context of construction law. Ryan M. Charlson is a Partner in CSK’s Construction Group and practices in the Fort Lauderdale office. Mr. Charlson is a Board Certified Specialist in Construction Law and focuses his practice on construction, products liability, real estate, and insurance coverage disputes. Prior to joining CSK, Mr. Charlson practiced at a national firm that specializes in construction litigation, and more recently, he worked as in-house counsel for one of the nation’s largest real estate developers. Kevin C. Schumacher is a Partner in CSK’s Construction Group and practices in the Miami office. Mr. Schumacher is a Board Certified Specialist in Construction Law and practices in the areas of general commercial and civil litigation, with an emphasis in construction litigation, landlord-tenant law, condominium law, banking law and real estate litigation. David S. Harrigan is a Partner in CSK’s Construction Group and practices in the Orlando office. Mr. Harrigan is a Board Certified Specialist in Construction Law. He concentrates his practice primarily on construction litigation matters, including construction defect and contract claims, on behalf of architects, engineers, developers, contractors, and subcontractors, professional liability claims and general business disputes on behalf of design professionals, and premises liability claims on behalf of property owner. Clay H. Whittaker is a Partner in CSK’s Construction Group and practices in the Pensacola office. Mr. Whittaker is a Board Certified Specialist in Construction Law, and he maintains an active and diverse practice in both state and federal courts throughout Florida and Alabama in the areas of insurance casualty and liability defense. Mr. Whittaker dedicates a large part of his practice to representing and defending companies involved in the construction process, including developers, contractors, subcontractors, suppliers, and design professionals. Daniel E. Levin is a Partner in CSK’s Construction Group and practices in the West Palm Beach office. Mr. Levin is a Board Certified Specialist in Construction Law and focuses his practice in the areas of general commercial litigation and civil litigation, with an emphasis on construction litigation. Mr. Levin’s construction litigation practice includes representation of contractors, design professionals, subcontractors, materials suppliers, manufacturers, owners, and other entities in construction defect, contract, and lien enforcement claims in state and federal court, arbitrations, and mediations. Mr. Levin has over sixty days of jury and non-jury civil trial experience representing construction industry professionals. John A. Chiocca is a Partner in CSK’s Construction Group and practices in the West Palm Beach office. Mr. Chiocca is a Board Certified Specialist in Construction Law and is rated AV Preeminent by Martindale-Hubbell. He concentrates his practice on complex litigation in both state and federal court. Mr. Chiocca has experience interpreting insurance policies and litigating coverage issues and advises general contractors, subcontractors, and contracting governmental entities regarding their civil litigation needs. Rochelle B. Chiocca in a Partner in CSK’s Construction Group and practices in the West Palm Beach office. Ms. Chiocca has represented private entities throughout Florida at the trial level in commercial and insurance disputes. She also has experience in interpreting insurance policies and in rendering opinions on coverage, duty to defend, duty to indemnify, and other insurance contract related issues, particularly in the areas of property, automobile, and construction law. Stephen W. Stukey , Esq. Stephen W. Stukey is a Partner in CSK’s Construction Group and practices in the Tampa office. Mr. Stukey concentrates is practice on construction and insurance defense litigation. He graduated from the University of Florida with a Bachelors of Design in Architecture, and worked with a national architectural firm in Boca Raton, Florida, before attending law school. John J. Kozak is a Partner in CSK’s Construction Group and practices in the Tampa office. Mr. Kozak defends contractors, developers, and design professionals in multi-million dollar claims stemming from the construction of large residential and commercial developments. Mr. Kozak also practices in the areas of products liability, premises liability, and motor vehicle negligence and has over sixteen years of litigation experience in state and federal courts in multiple jurisdictions. Sanjo S. Shatley is a Partner in CSK’s Construction Group and practices in the Jacksonville office. Mr. Shatley concentrates his practice in civil defense litigation, including premises liability, nursing home, medical malpractice, professional malpractice, and products liability. His practice also includes construction litigation and risk management counseling, including the representation of design professionals in professional liability claims, developers, contractors, and subcontractors in construction defect, contract, and lien enforcement claims, and payment and performance bond sureties in public and private bond and subrogation claims. 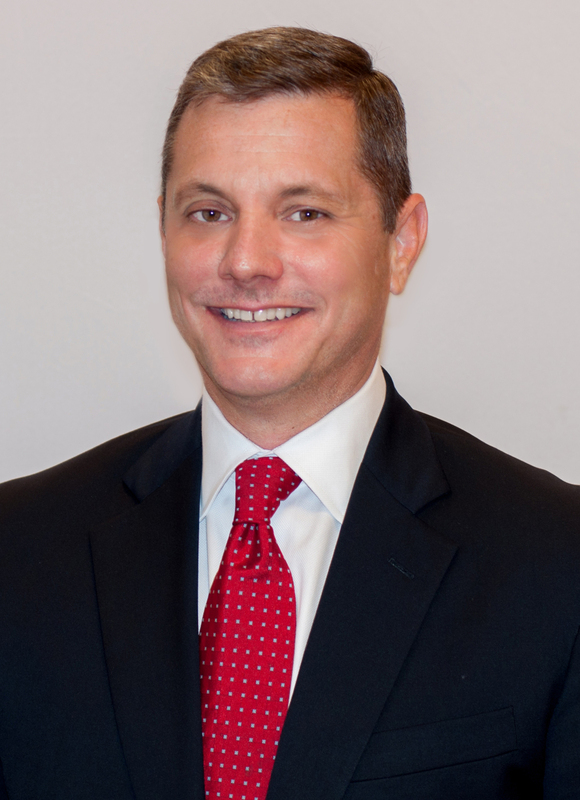 Daniel R. Duello is a Partner in CSK’s Construction Group and practices in the Jacksonville office. Mr. Duello practices in the area of general civil litigation, insurance coverage, bad faith and extra-contractual liability, construction defect, and professional liability defense. Brooke E. Beebe is a Partner in CSK’s Construction Group and practices in the Bonita Springs and Naples offices. Ms. Beebe focuses her practice in the areas of general commercial and civil litigation, with an emphasis in construction litigation, landlord-tenant law, and employment law. Ms. Beebe has tried over two dozen jury trials and numerous bench trials. Prior to joining CSK, Ms. Beebe worked as in-house counsel for a real estate developer where she regularly worked with several prominent restaurant and supermarket corporations. Felipe L. Mejia is a Partner in CSK’s Construction Group and practices in the Miami office. Mr. Meija specializes in construction and complex litigation representing design professionals, developers, general contractors, subcontractors, and condominium associations. He is also experienced in cases involving bodily injury, premises liability, first party property and workers compensation. In addition to his litigation practice, Mr. Meija serves as general counsel for several condominium associations. Robert H. de Flesco III, Esq. Robert H. de Flesco III is a Partner in CSK’s Construction Group and practices in the Miami office. Mr. de Flesco devotes most of his practice to various areas of construction law, including representation of contractors and developers in construction defect claims. Mr. de Flesco also represents design professionals and consulting engineers in professional liability claims. Samuel Padua is an Associate in CSK’s Construction Group and practices in the Fort Lauderdale office. Mr. Padua concentrates his practice on various areas of construction law, including representation of developers, contractors, and subcontractors in construction defect, contract, and lien enforcement claims. He also represents design professionals in professional liability claims. Before joining the firm, Mr. Padua was a professional in the construction industry for eighteen years. He earned a Bachelor of Science in Electrical Engineering from the University of Puerto Rico in 1992 and has been a Professional Engineer since 1993. Matan A. Scheier is an Associate in CSK’s Construction Group and practices in the Miami office. Mr. Scheier focuses his commercial litigation practice on construction law. He represents and advises developers, contractors, and subcontractors in construction disputes and lien enforcement cases. Mr. Scheier also defends design professionals and consulting engineers in professional liability cases. Todd A. MacLeod is an Associate in CSK’s Construction Group and practices in the Jacksonville office. Mr. MacLeod focuses his practice in the areas of general and commercial litigation with an emphasis on construction. Prior to joining CSK, Mr. MacLeod was a licensed general contractor and was involved in both commercial and residential construction projects. Mr. MacLeod owned and operated a construction company with focused efforts on residential and light commercial construction from the ground up, including project design, coordination with architects and engineers, daily management of all dedicated construction personnel and subcontractors, and active participation in the project’s construction. Sean L. Mulhall is an Associate in CSK’s Construction Group and practices in the Jacksonville office. Mr. Mulhall’s practice focuses on nursing home health care, construction law, medical malpractice, and general civil litigation. Mr. Mulhall has sixteen years of experience defending clients in civil litigation. He has represented clients in state and federal trial courts throughout the state of Florida during his career, and has handled appeals in the Florida and federal appellate courts.